The HK G3, HK 91, PTR-91, CETME receiver flats we offer are made by PTR on original HK tooling using factory specifications. These properly stamped receivers are ready to roll and build, NO special tools needed! No FFL required as these are an unfolded flat. 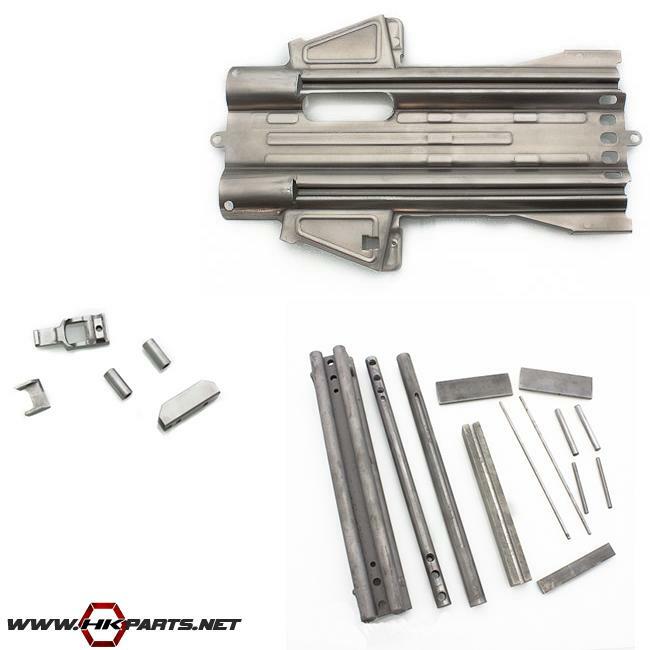 We offer the receiver flats by themselves or we have an option that comes with a weldment set. There is also a flat bending jig set available on our website. Whether you are bending one jig or thousands of flats this is THE jig set real manufactures use in their production. Be sure to check these items out.